Rocket launched near Tel Aviv's airport led to the decision. American air carriers have suspended flights from the United Stated to Israel "for a period of up to 24 hours" after the FAA issued a warning in response to a rocket strike this morning near Tel Aviv's main airport, officials said. In a statement, the FAA said, "The notice was issued in response to a rocket strike which landed approximately one mile from Ben Gurion International Airport on the morning ... [and] applies only to U.S. operators, and has no authority over foreign airlines operating to or from the airport," according to the statement. Earlier today, Delta Air Lines Flight 468, which was flying over the Mediterranean at the time, was en route from New York's John F. Kennedy Airport to Ben Gurion International Airport in Tel Aviv when a rocket fired from Gaza hit Yahood, a Tel Aviv suburb close to the airport. The rocket escaped interception by the Iron Dome, which Israel has used to intercept missiles launched by Hamas. (Jack Guez/AFP/Getty Images) Israel International Ben Gurion airport on the outskirts of Tel Aviv, July 25, 2007. The flight was eventually diverted to Paris-Charles de Gaulle airport in Paris. Most international carriers that fly to Tel Aviv have suspended flights. This is the first time this has happened since 1991, amid the first Gulf War. At that time, all airlines except for El Al and the now-defunct Tower Air cancelled flights to and from Tel Aviv. International airlines still flying to Tel Aviv at this time are British Airways, Ukrainian International, Belavia and El Al, Israel's national carrier. El Al said there "is no chance we will stop operations," according to a spokesman, The Jerusalem Post reported. Former New York City Mayor Mike Bloomberg said this evening that he will fly to Israel on El Al today to prove that it is safe and "to show solidarity with the Israeli people." 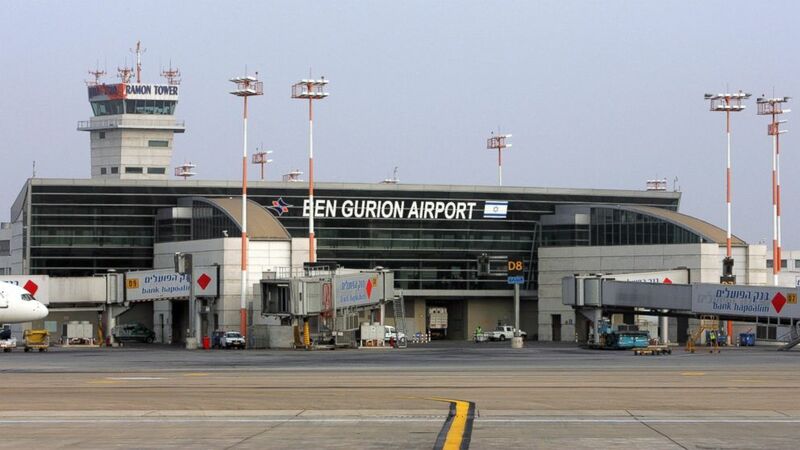 "Ben Gurion is the best protected airport in the world and El Al flights have been regularly flying in and out of it safely," he said. "The flight restrictions are a mistake that hands Hamas an undeserved victory and should be lifted immediately. I strongly urge the FAA to reverse course and permit US airlines to fly to Israel." On Monday, the State Department updated its warning for Americans traveling to Israel, the West Bank and Gaza due to ongoing hostilities. The Department of State recommends that U.S. citizens consider the deferral of non-essential travel to Israel and the West Bank. Passengers have also been jittery about travel safety since last Thursday, when a Malaysia Airlines plane was shot down over Ukraine by a missile, killing all 298 people. Delta and other airlines had already issued a travel waiver for customers holding tickets to Tel Aviv. The waiver is good through July 31 and allows customers to make a one-time change to their ticket. The other U.S.-based carriers not allowed to fly to Israel -- United and U.S. Airways -- have a similar policy.